Fun One Pager for Ravenclaw Map – an interactive adventure through Hogwarts school. You can earn awards as you explore rooms, discover magical creatures and uncover the castles secrets as you go. A must for Happy Potter fans and thanks for the build notes Peter! The concept behind the Ravenclaw Map is a simple one. Anyone who is familiar with Harry Potter knows the magical Marauders Map, a living map of Hogwarts school which not only shows the rooms in the school but also the location of any current occupants. Cool as this map is I often found it quite shallow, leaving much to be desired in terms of knowledge and information. 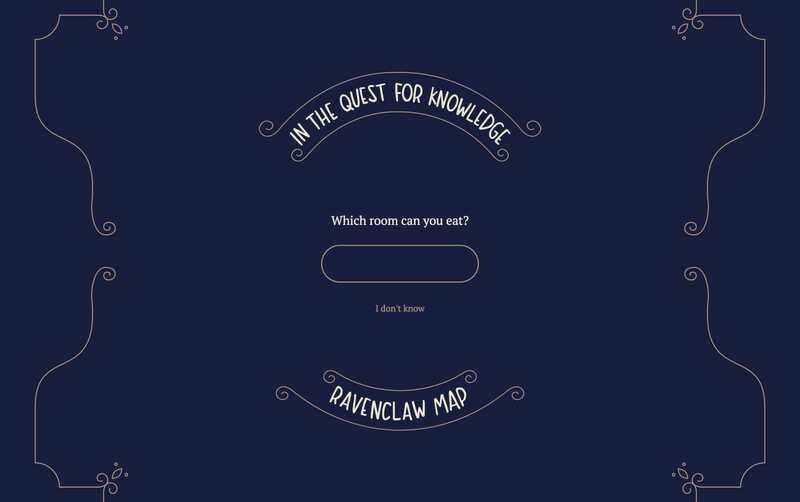 The Ravenclaw Map seeks to provide answers often disregarded by the Marauders Map. What is that particular room for? Why can’t students access certain parts of the castle? How do you access the secret passageway? The Ravenclaw Map seeks to be the most comprehensive map of Hogwarts ever produced, and we’re just getting started. Those who use the map can also earn bronze, silver, and gold awards for a variety of tasks, from finding all common rooms to finding all school ghosts, and share these awards on leading social media platforms. Read more.